I woke–the dungeon flamed with light! …God shines His light brighter. That was so true this morning! My 3 kids wanted to go to the beach so badly this week. This was the only day I had our car, and I had promised them when I had the car we would go to the beach. However, when we woke up it was 71 degrees and cloudy – very cloudy. But, as soon as 9 o’clock came, we grabbed all our gear and headed out the door. Before we left the driveway, one of my boys prayed that the rain would hold off until we had time to swim. Then, praying in my heart, I pulled out. Around 1 hour later Nienna’s teeth started clattering and I knew it was time to get going. After I got her warmed up, I called the boys in. Then, and only then, I felt raindrops… We got mostly dried off and hopped in the car. As soon as we drove back in our driveway the rain started falling harder and we heard thunder. I was so glad for the swim, workout, time with my kids, and the chance to see God answer my kids’ prayer. I wouldn’t change this morning for anything! Thank you Lord. This morning, I made a promise and then because I was frustrated and overwhelmed I renigged on it. After a few minutes calming down in my room my 6-year-old daughter walked in and gave me a very sweet piece of humble pie. Thank you God for giving her boldness and love to talk to me like that! 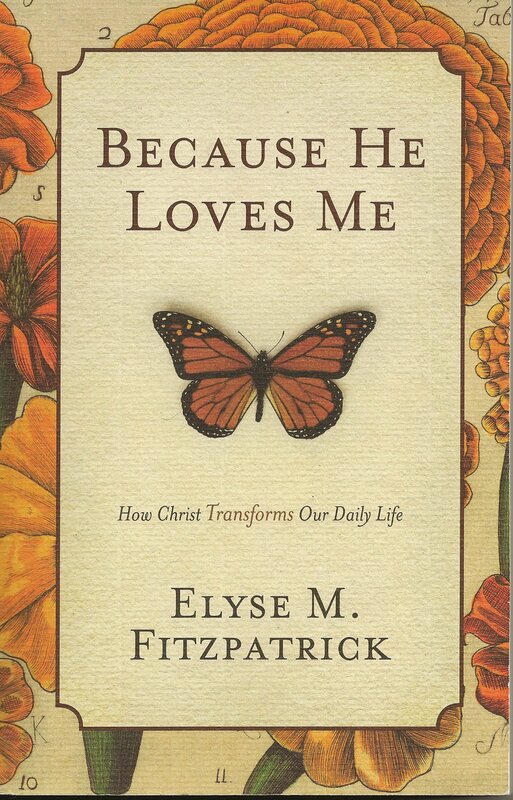 My wonderful small group of ladies from church are working through Because He Loves Me by Elyse M. Fitzpatrick right now. Though we are only on chapter 2 it has already enriched my heart and reminded me of why I was created and who I am in Christ. In the first chapter Elyse goes through the story of Christ and redemption by just listing verses for 10 pages. I was so encouraged and my heart was reminded again of God’s plan of redemption for me (and you). In all the busy-ness of my home and life the reminder that everything is in God’s control and for my good. I pray that when my house is so messy that I can’t think straight or my kids disobey me (again) and I lash out or yell at them (again) that I am reminded of this. That I behold the glory of the Lord and it transforms me. When I read that last phrase my heart was filled with joy! God chose me – and you – to be in his family just so Jesus could have me as his sibling. Wow! Not only did God adopt me into his family, he also is helping me become part of his family to where I fit in perfectly. He is making me more like my big brother Jesus, so that when others look at me they can tell which family I am a part of. That brings so much joy to my heart this morning. I pray that as you think on this, it may encourage your heart too! 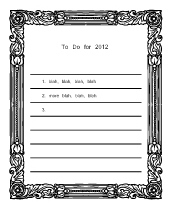 Since I usually am a very in-the-moment person I tend not to make resolutions for the new year. Instead, I reflect back on things and share current things. So for my New Year’s Resolution I am writing out my current ‘happinesses’ and ‘light-bringers’. Enjoy!